Tree trimming may seem like something that can be done by just anyone. However, pruning shears or a saw in the wrong hands can quickly turn into serious and permanent damage to your trees. When done properly tree trimming can improve the health of your tree and help to extend its life. Furthermore, a proper tree pruning can enhance the beauty of your entire property and add value to your home! This guide contains all of the information needed to help you prune your own trees. If you don’t feel up to the task, this guide will also help you understand the process. 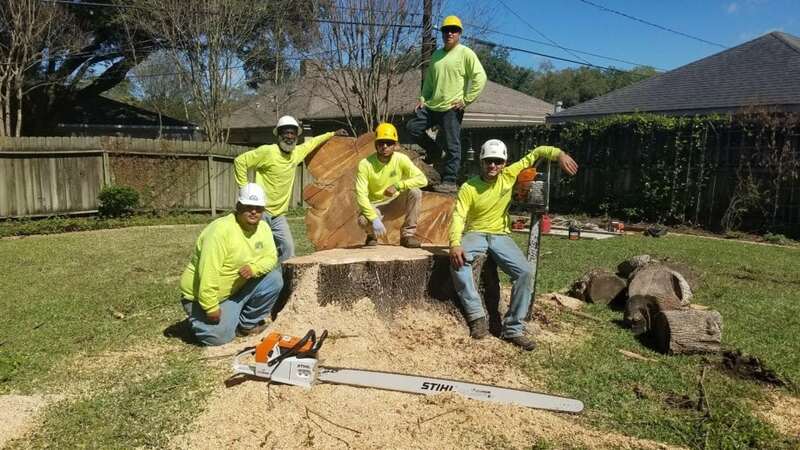 That way you are more informed when looking to hire a tree service to help you with your tree trimming project. Train your tree’s structure for strength and safety. This helps to avoid damage by storms! Tree pruning promotes healthy growth in the amount that will not stress your tree. Proper pruning cuts can help your tree close wounds quickly and reduce opportunity for disease infection. Proper tree pruning can provide a better view of your home. It can also create shade in useful ways that still allow your grass to grow. Regular tree pruning by a trained professional can transform your tree’s canopy into the ideal shape for your yard. Crown raising involves removing lower branches from a tree to raise the canopy providing clearance for structures, traffic and better view. See our full guide to crown raising here. Crown Thinning is a technique used to remove unwanted interior branches from a trees canopy. Thinning is helpful when normal selective pruning is not enough to provide adequate airflow or light penetration through the canopy. Deadwood Removal is one of the most necessary steps in proper tree pruning. Deadwood and broken branches are attractive to insects and fungal diseases that can infect living tissue. Removing deadwood is also important to reduce risk of damage to objects below the tree. 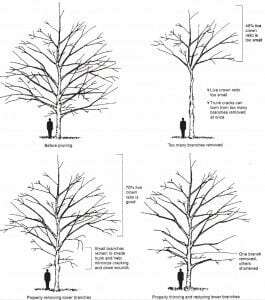 Crown Reduction Pruning is the proper way to reduce the length and height of branches in trees that have outgrown the size of their location or have become at risk of major limb failure. Crown reduction cuts are a way to prune larger tree limbs without causing long term damage such as the harmful technique of tree topping. 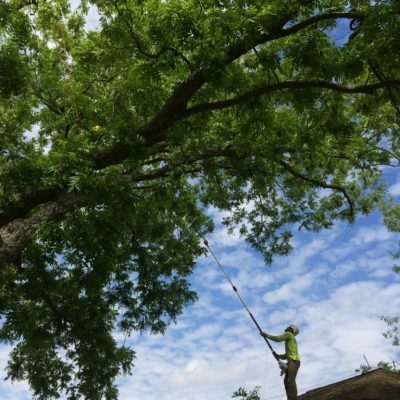 Crown Restoration Pruning is a tree pruning technique that is used to help re-distribute the weight of tree branches when a tree has been damaged. Crown restoration pruning generally takes several years to complete. Due to the tree pruners can only adjust branches in small amounts each year. 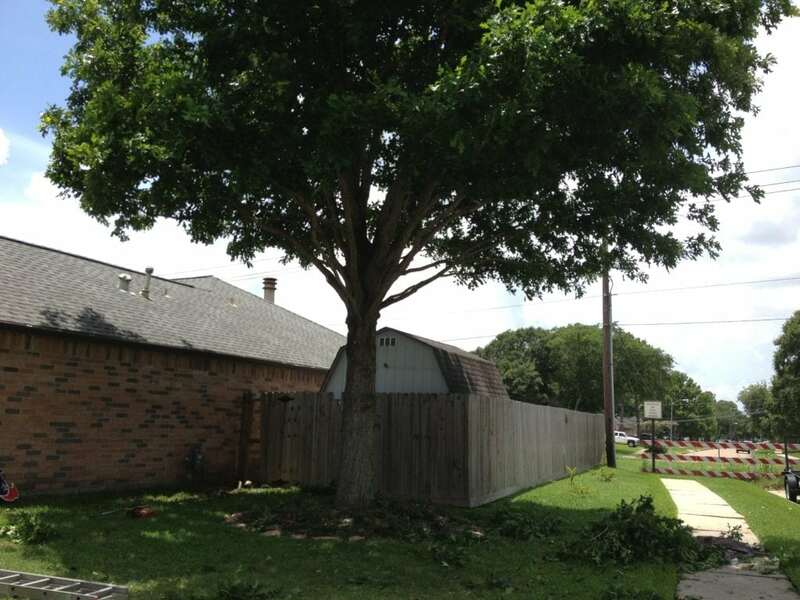 This type of tree pruning can be used as an alternative to removing a tree following substantial damage. It is often very beneficial in the long run. Proper tree pruning can provide a better view of your home while creating shade in useful ways that still allow your grass to grow. Tree pruning by our certified arborists is best for your trees! Tree pruning is best completed by a tree care professional who knows and understands ANSI standards for tree care. 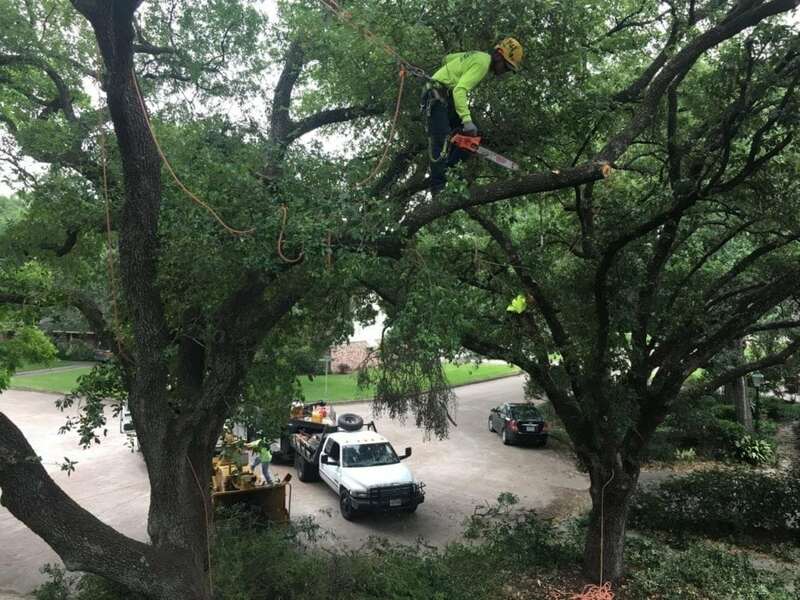 The knowledge gained from an understanding on the current ANSI standards allows a tree care professional to correctly carry out tasks in the safest way possible. An arborist can help you determine which trees are in need of pruning and what type of pruning will help your trees thrive. 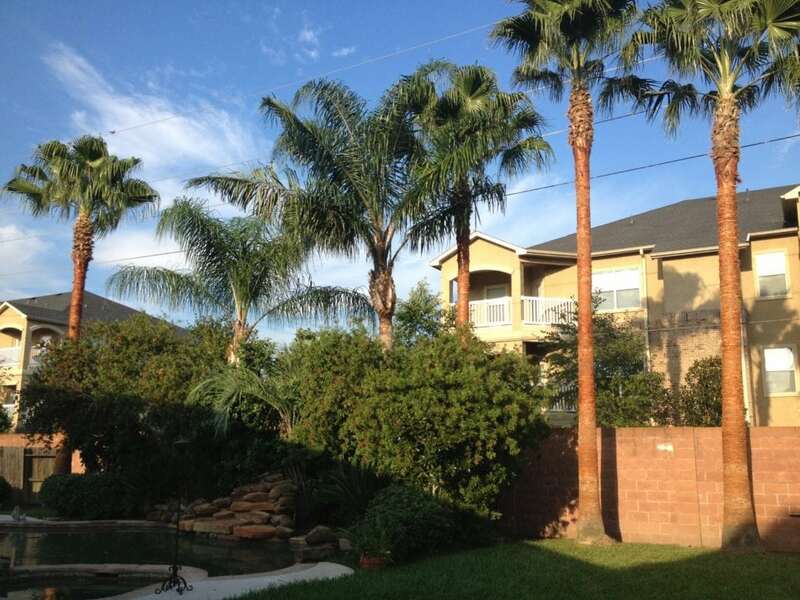 You should be provided with a detailed estimate of the work recommended along with the consultation. 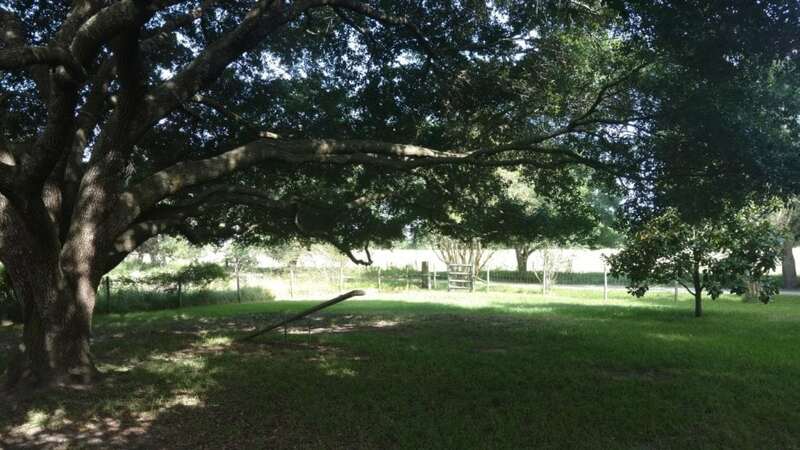 Tree pruning promotes healthy growth of branches and limbs and helps create a beautiful tree canopy where you can relax and enjoy your property. 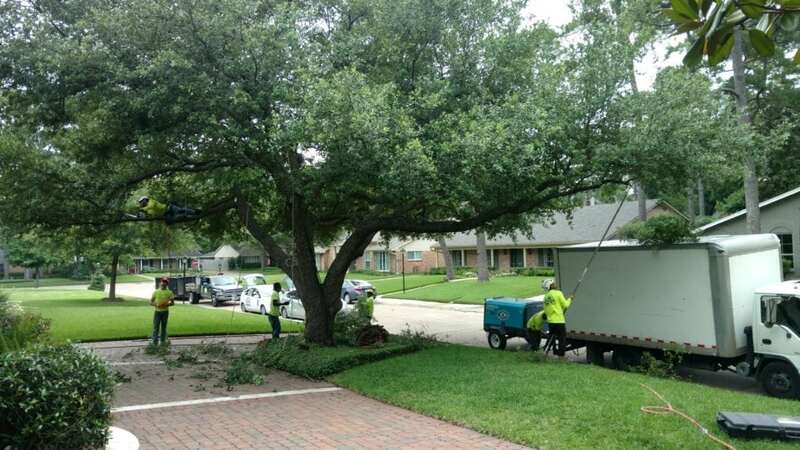 Call Texas Tree Team today to discuss your tree pruning project and help us take your tree care to the next level.